Many New Forest commoners bring their cattle in for the winter. I was in the pub one evening last week (December 2014) and offered a lift home to a long established commoning friend of mine. We drove across the Forest chatting away until, within a couple of hundred yards of their holding, my friend suddenly shouted; ‘Stop the car! Stop the car!’ In the illumination of the car’s headlights we could see, grazing beside the road, a heifer that needed to be rounded-up. Apparently the rest of the herd had been previously brought in to winter off the Forest and this sole cow had managed to avoid capture. We sat for a few moments deciding on tactics. It was pitch dark outside, we didn’t have any torches and were weren’t dressed for capering around in mud but nevertheless we didn’t want to miss this golden opportunity to catch the cow. We decided to drive the beast from inside my car and use the headlights to direct it into the lane leading to my friends holding. This plan worked a treat! The cow, which by all accounts was a wild and jittery creature, seemed very compliant and followed the shaft of light into the lane with the car following behind at a safe distance. What helped the process was the mooing from the previously captured cows calling to their missing companion from the confines and comfort of the holding. This bovine encouragement acted as a homing signal and sure enough the cow turned into the lane. My friend jumped out of the car and closed a set of gates behind us to prevent the cow from doubling-back and re-escaping. We were congratulating ourselves on our good luck and cunning when suddenly, spooked by the excited commotion of the cows from inside the holding, the heifer took off again at speed. We weren’t too worried because the lane finished abruptly in a dead-end. Well, sort of. There was a neighbouring property at the end of the lane but a cattle grid that filled the mouth of the gateway denied access to it. To the uninitiated a cattle grid consists of a depression in a road or gateway covered by a transverse grid of bars or tubes, normally made of metal and firmly fixed to the ground on either side of the depression, such that the gaps between them are wide enough for animals’ legs to fall through, but sufficiently narrow not to impede a wheeled vehicle or human foot. This provides an effective barrier to animals without impeding wheeled vehicles, as the animals are reluctant to walk on the grates. This did not seem to worry the cow though. I couldn’t see what happened next because it was pitch dark and the headlights were angled at the entrance to my friends holding but above the noise of cattle mooing and the engine of my car running I thought I heard what sounded like cloven hooves tip-toeing across each pole of the cattle grid into the neighbouring property. It was a miracle that the cow had managed to get across safely. But so she had, for the lane was empty! My friend muttered some traditional Saxon words used on such occasions and we decided that due to the lack of visibility nothing more could be done until morning. I left my friend to make contact with the neighbours and explain why they would wake in the morning to find a cow wandering about in their garden! 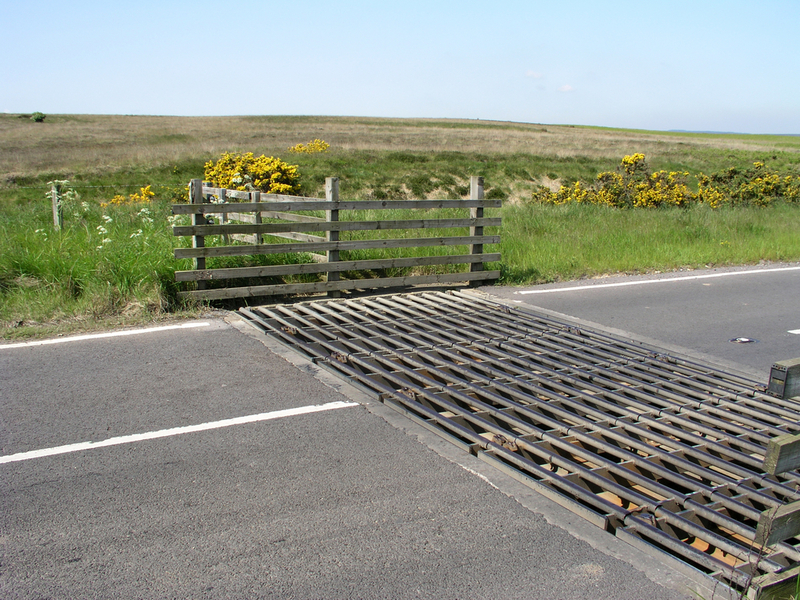 Cattle grids are commonly used to keep animals within the New Forest boundary or out of people’s property. 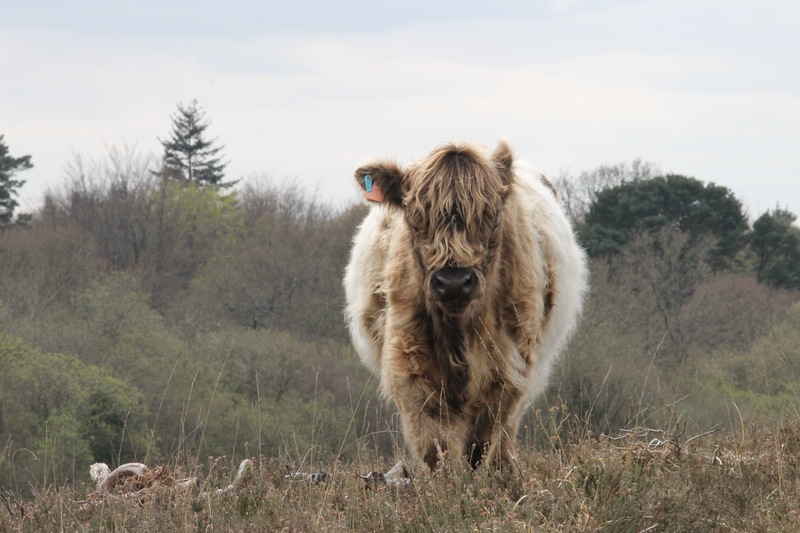 This entry was posted in New Forest, New Forest cattle, New Forest Commoner and tagged cattle, cattle grid, Commoner, commoning, Cow, heifer, herd, New forest. Bookmark the permalink.